Make sure you and your boys are ready to set sail with our Anchor Design Round Gold Cufflinks. Available in either a gold or rose gold finish, these brass cufflinks come complete with a classic T-back closure and a sophisticated nautical design. Grab a pair for every member of your wedding crew, and ensure that each guy is looking sea- worthy for the big “I do!”. They will definitely treasure this ideal groomsman gift for many years (and voyages!) to come. 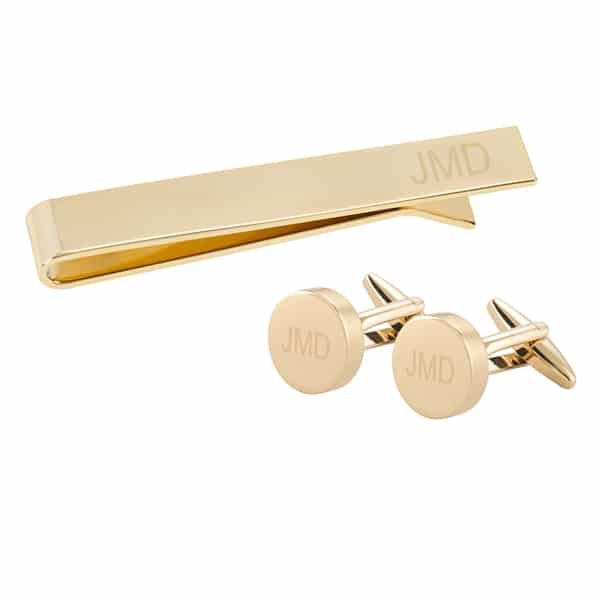 Brass cufflinks with a gold or rose gold finish. .625” diameter with a .75” toggle.